Vu’s research concentrates on smart grid, power system dynamics, stability and control; energy management and optimization; and integration of energy storage systems, renewable energy systems, and electric vehicles into the distribution systems. 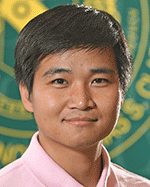 Prior to his academic career, Vu was a hardware engineer for the Samsung Vietnam Mobile R&D Center in Hanoi. In this role, he supported production engineers in mobile faults detection for application and radio parts, analyzed the power amplifier circuits inside mobile phones and collaborated with the system team in firmware design. He is the recipient of multiple technical grants.